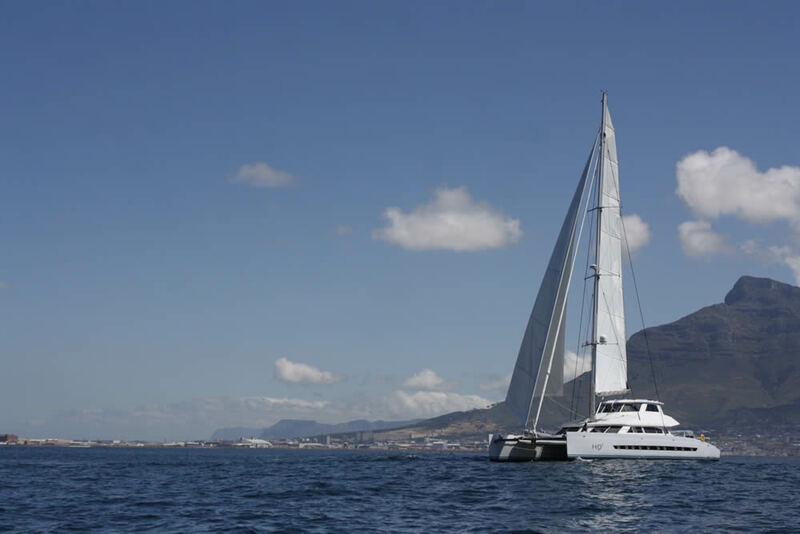 The Cape Town based sport fishing boat and catamaran manufacturers Two Oceans Marine, together with the yacht design team from Du Toit Yacht Design, launched the exciting 75 foot luxury sailing catamaran, the Open Ocean 750 Sailing Catamaran, in October 2013. 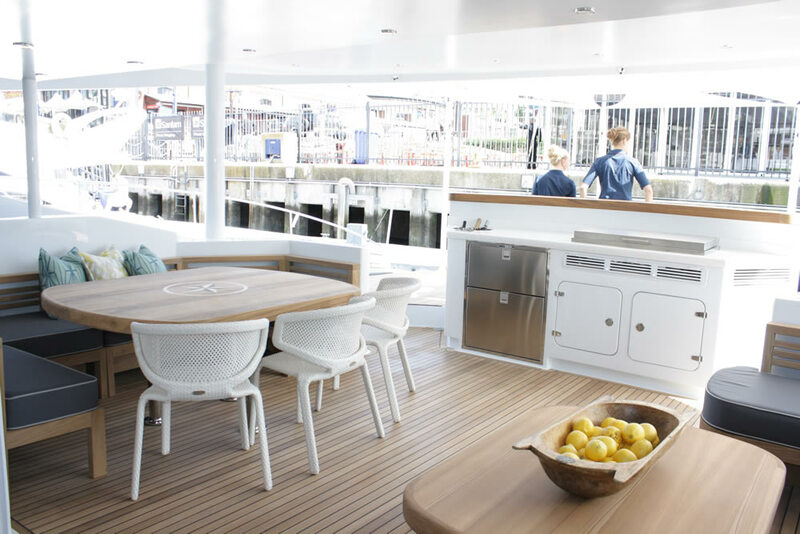 Named HQ², the Open Ocean 750 Sailing Catamaran is the sailing sister ship of the Open Ocean 750 Expedition Catamaran which was launched last year as well as the big sister of the Open Ocean 650 Sailing Catamaran launched in 2011. HQ² has been custom-designed and built for comfortable and relaxed cruising for a family of five and two crew members, and therefore is essentially the comfortable and luxurious on-the-water home away from home which even provides accommodation for guests to join the family on lavish sailing holidays around the world. Designing and building this impressive catamaran was a project that took several months, with four designers involved at various stages in drawing up the interiors, lines, structure and various mechanical details in consultation with the owners and builders Two Oceans Marine at all stages of the project. HQ² is expertly built in a sandwich construction, using epoxy E-glass with a PVC foam core. She has a fixed keel and spade rudder using laminar flow foil sections that were custom designed by Du Toit Yacht Design. 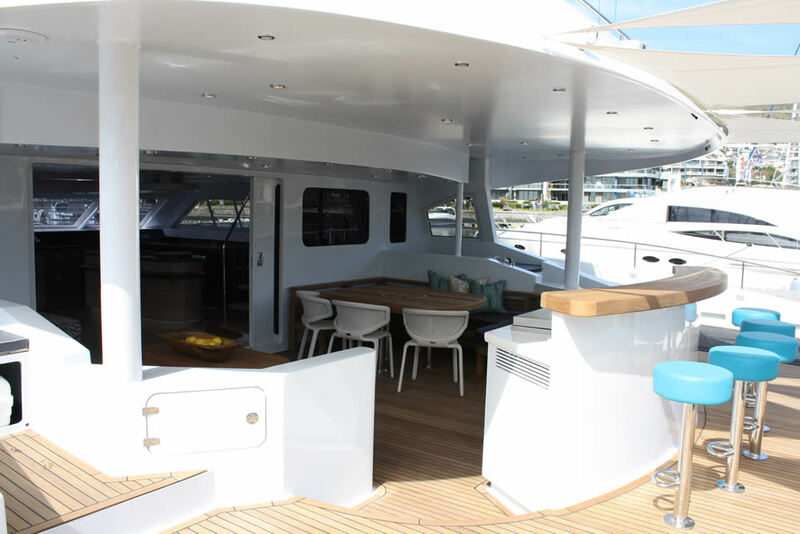 Two Oceans Marine are renowned as industry leaders and specialists in building custom designed luxury catamarans with a build quality and attention to detail that is exemplary. This is a yacht of elegance, with beautiful lines and intricate features. 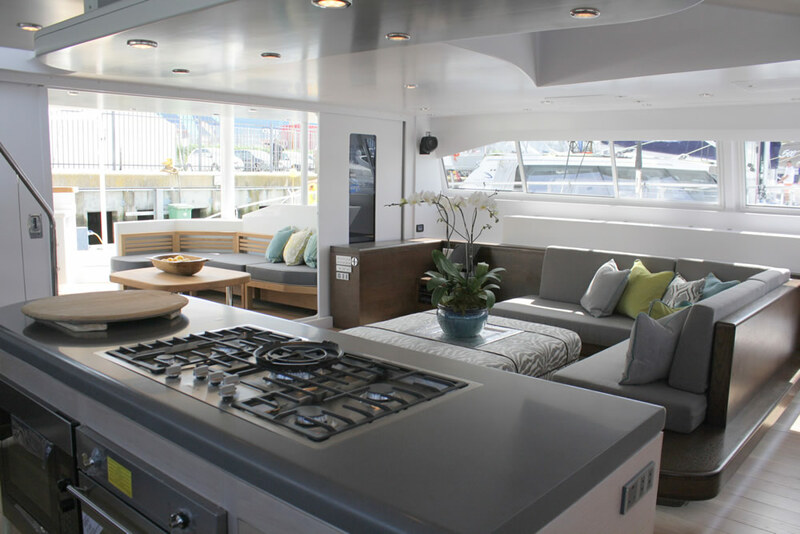 The interior has been designed for effortless ocean living as the easy accessible spaces are open and free-flowing. HQ² boasts a spacious saloon and galley, with all the comforts one could ask for on a luxury holiday – B&O full sound system, 32 inch TV and DVD player in the saloon, with two Vitrifrigo fridges and freezer and Miele appliances such as; an ice-maker, microwave, coffee machine, dishwasher, washing machine, tumble dryer and a Smeg gas oven in the galley area. 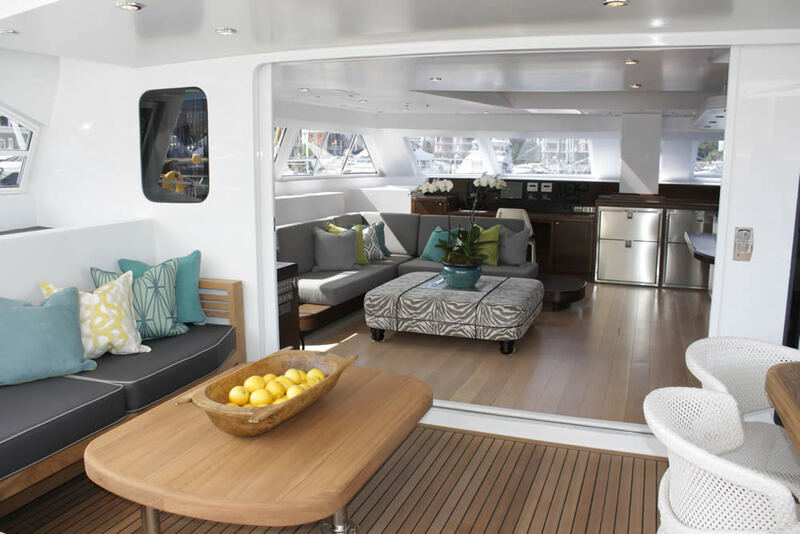 Moving out of the saloon into the spacious aft cockpit, one finds plenty of comfortable and stylish custom-made outdoor furniture and a bar area with braai and a fridge on teak decks. Interior soles are solid European oak with furniture modules made from stained oak veneers. 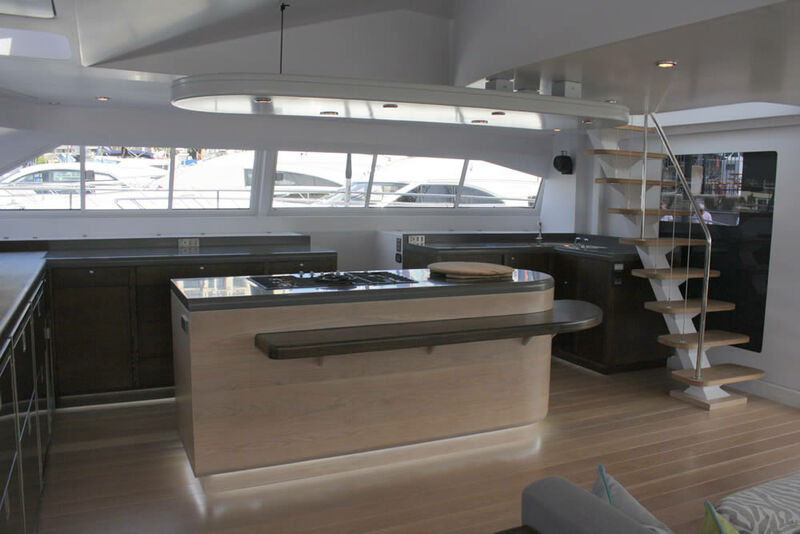 Du Toit Yacht Design worked very closely with the owner on the design and style paying close attention to detail resulting in a simple yet magnificent interior. 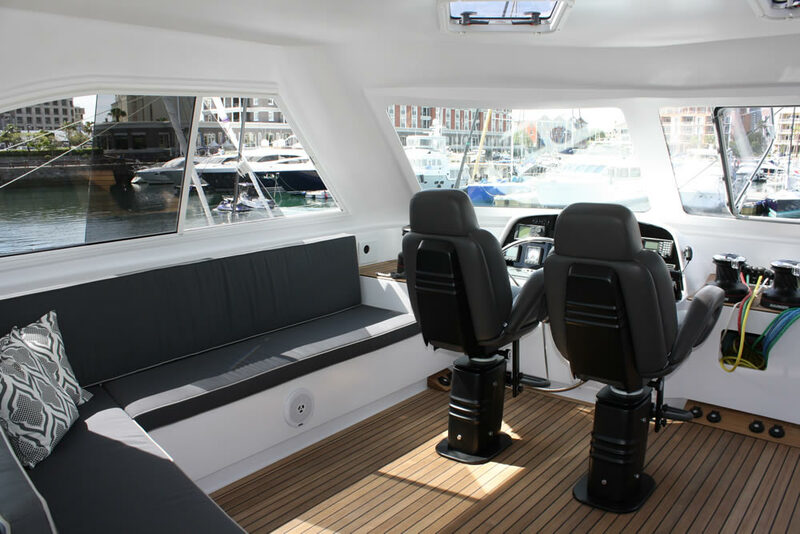 Up a level, on the sheltered fly bridge is where one comfortably pilot’s the yacht, while seated on beautiful Besenzoni chairs using the electric Harken Winches and Spinlock jammers. Also, there is a “WaterRower” wooden rowing machine to keep fit while cruising and a comfortable sitting area so family and guests can join the skipper in sailing the boat once under sail or motor. 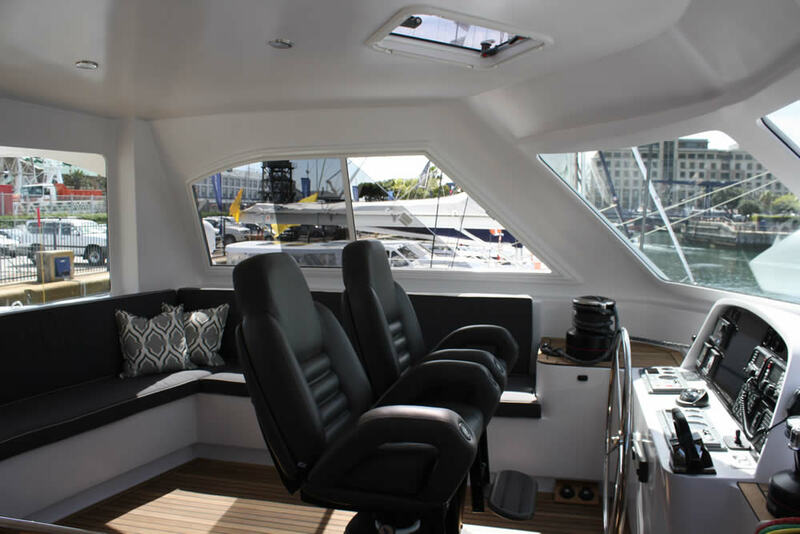 The Open Ocean 750 Sailing Catamaran has a six metre Gemini Waverider 600 tender with 2 x Yamaha 75hp engines on the aft deck behind the aft cockpit and is launched by means of an integrated boom crane. The dingy also provides some privacy from the dock when moored stern to. On the foredeck is a smaller tender with a 15 HP Yamaha and a crane davit to launch her. There are plenty of lockers and storage space for dive gear, ropes and other toys. Also in the hulls aft are two Yanmar 4LHA-STP 240hp engines driving two 26” 4-blade Varifold props for fast and efficient steaming, with a starboard bow thruster for easy maneuvering and docking. Her impressive rig with an air draft of almost 34 metres, and was designed and built by Southern Spars, also of Cape Town. HQ²’s Ullman sail suite includes a mainsail, working jib, screecher, spinnaker and storm jib. 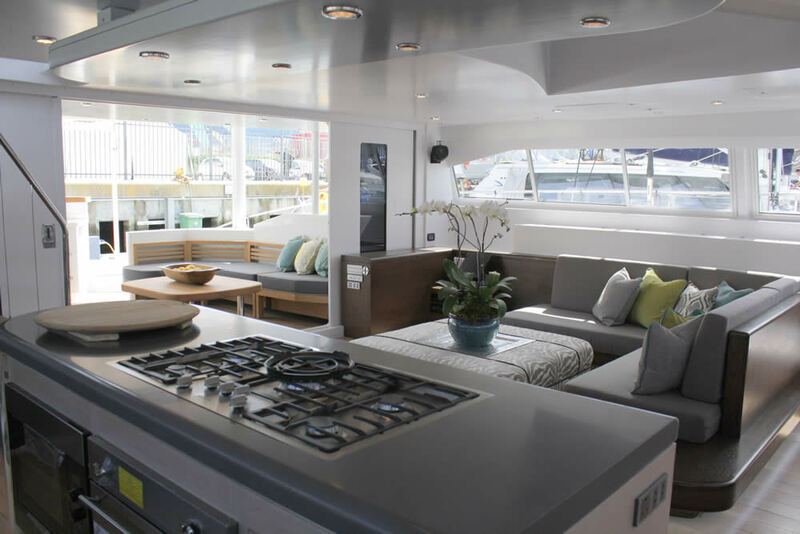 Accommodation down below deck is luxurious, comfortable and versatile. 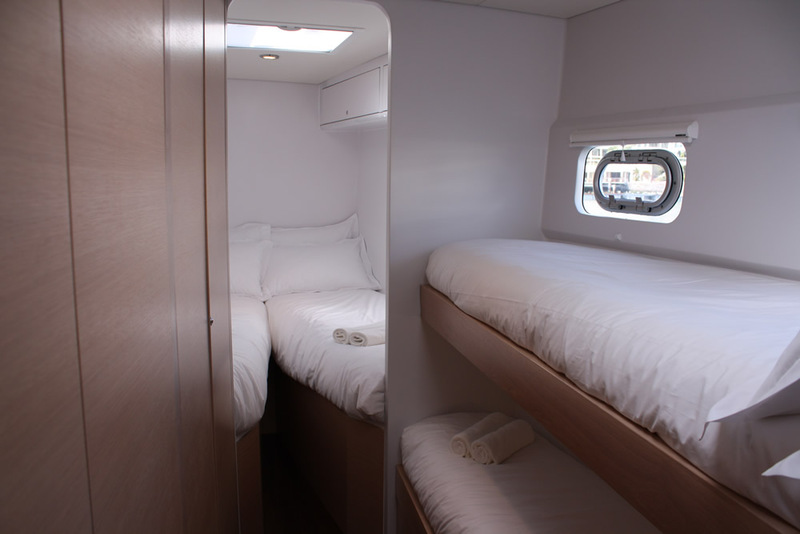 The catamaran has ample accommodation for the family, crew and guests, and could sleep 12 people easily. 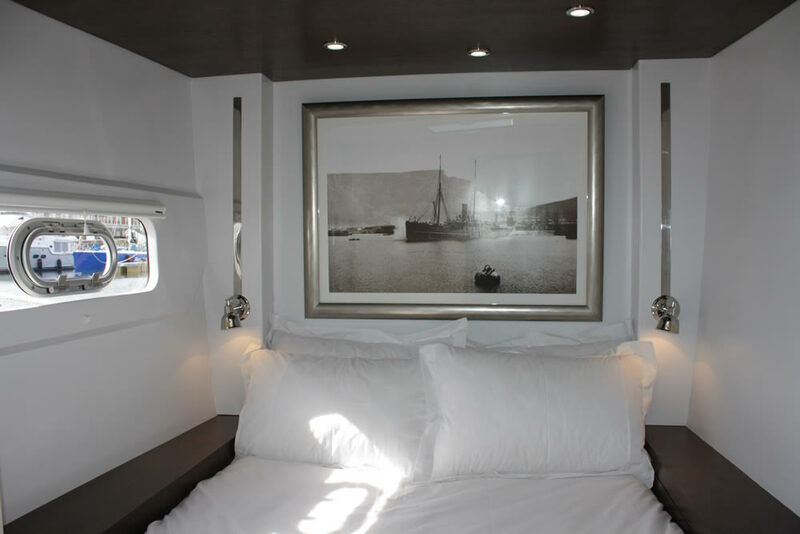 The port hull occupies the owners’ suite aft, and a guest suite forward, both with lovely en-suite spacious heads and showers with a crew cabin forward of that. 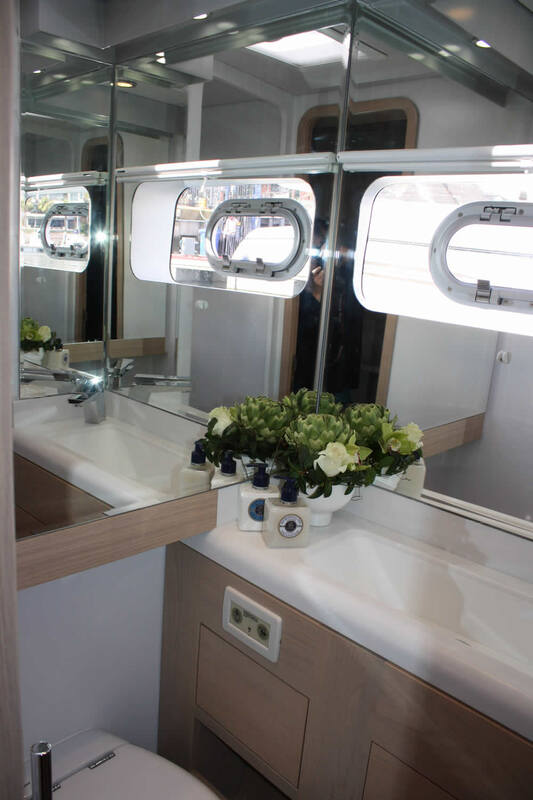 The starboard hull has another guest suite aft and the children’s cabins forward of that, with an upper and lower single berth and further forward is a v-berth that can be converted to a double. Both the guest and children’s cabins have en-suite heads and showers, and there is also a day head for guests. 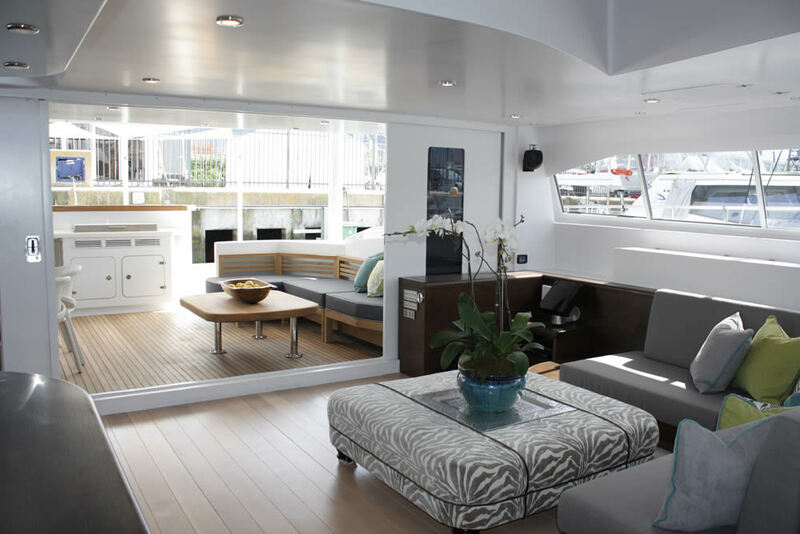 The Open Ocean 750 Sailing Catamaran is a perfect example of how the close collaboration of the boat builder and designer, working with the owner at every step of the project, can create the perfect ocean-going vessel and home. Two Oceans Marine and Du Toit Yacht Design have shown this to be true over and over, and HQ² is a true work of art from the team. 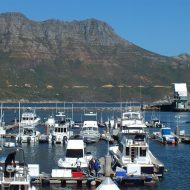 HQ² completed the Cape to Rio Yacht Race in January 2014 seemingly effortlessly with no damage, despite a third of the fleet retiring from the race in the terrible storms the fleet encountered the first night of the race. The crew had an easy voyage and a lot of fun and HQ² arrived in Rio still looking immaculate.